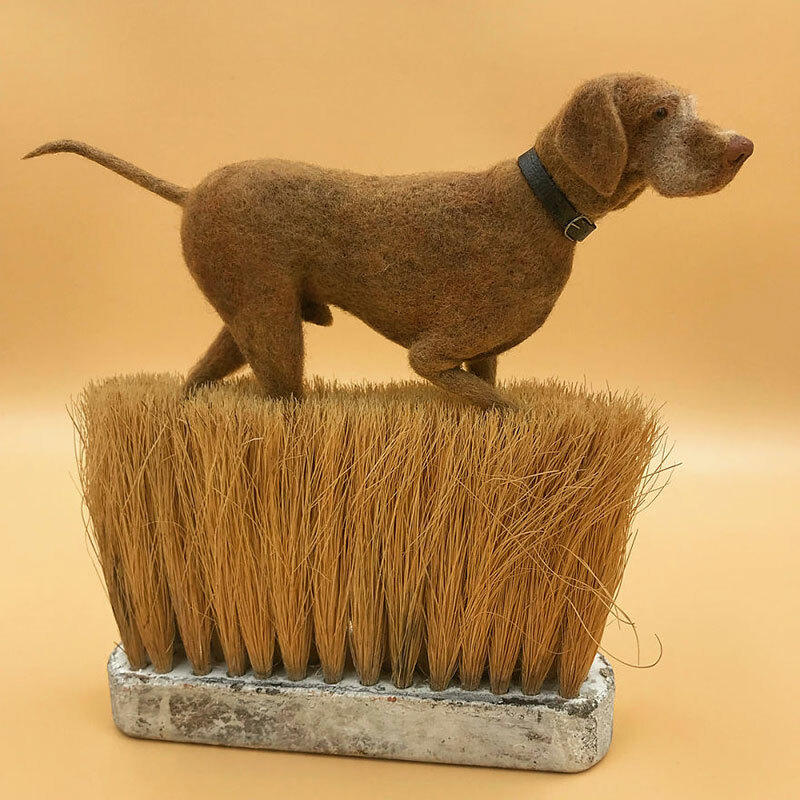 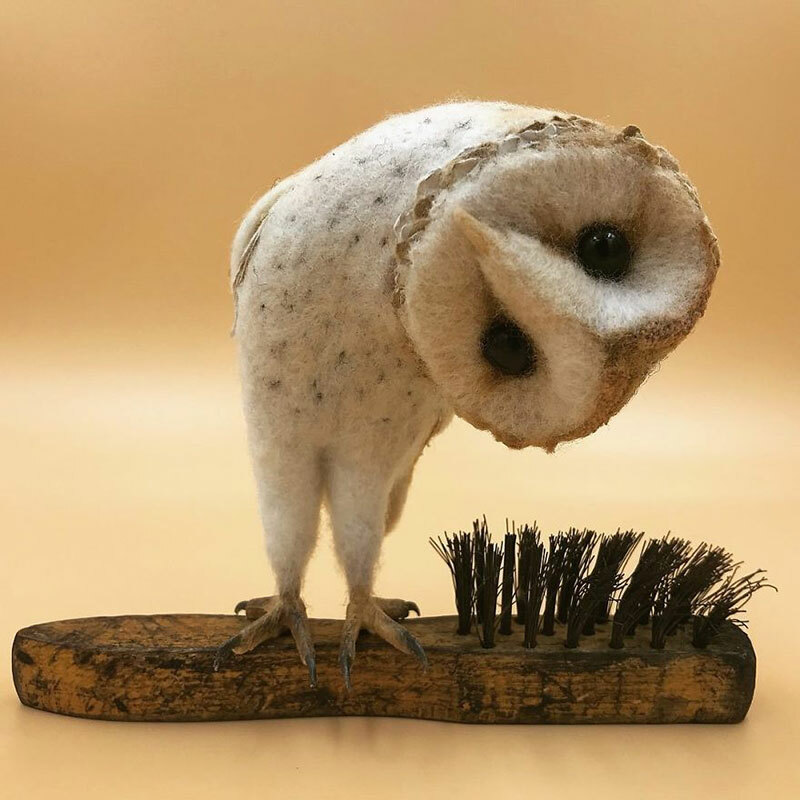 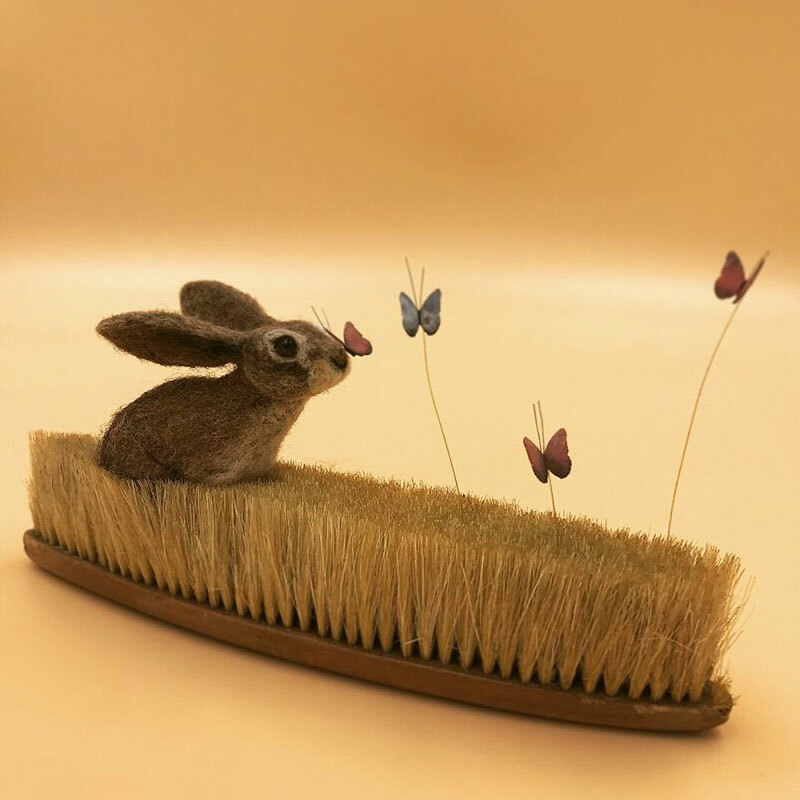 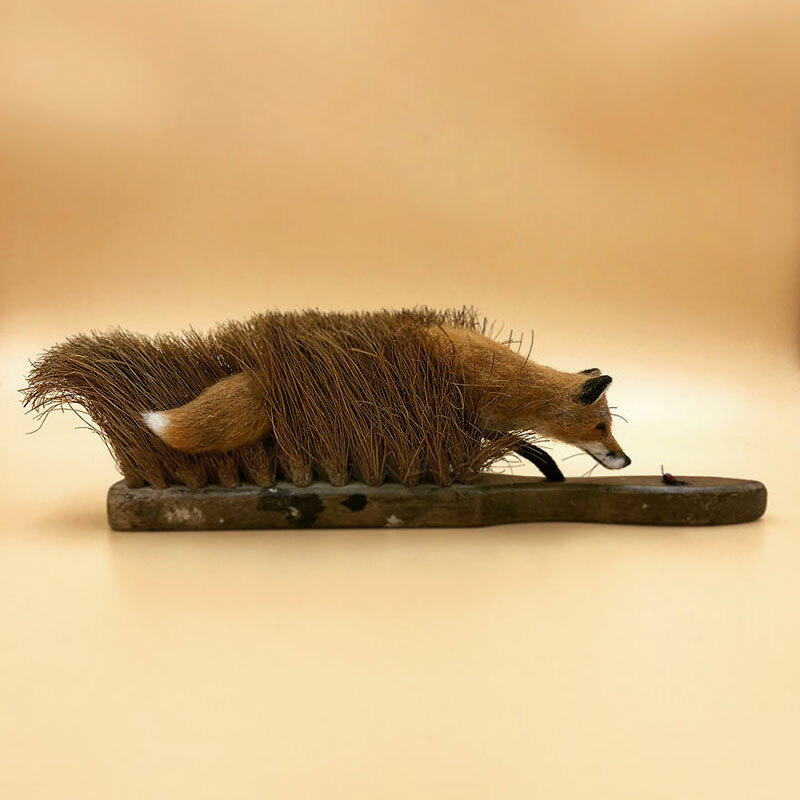 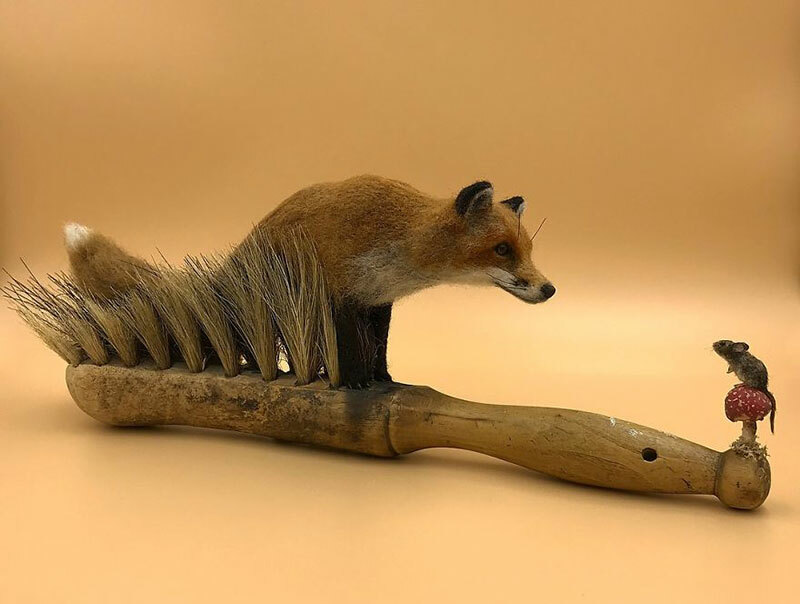 Felt artist Simon Brown based in Northumbria, United Kingdom turns old brushes into grass fields or meadows with realistic-looking animals such as foxes, rabbits, owls, and dogs crafted from materials such as Icelandic wool, textured herdwick, camel hair and soft cashmere. 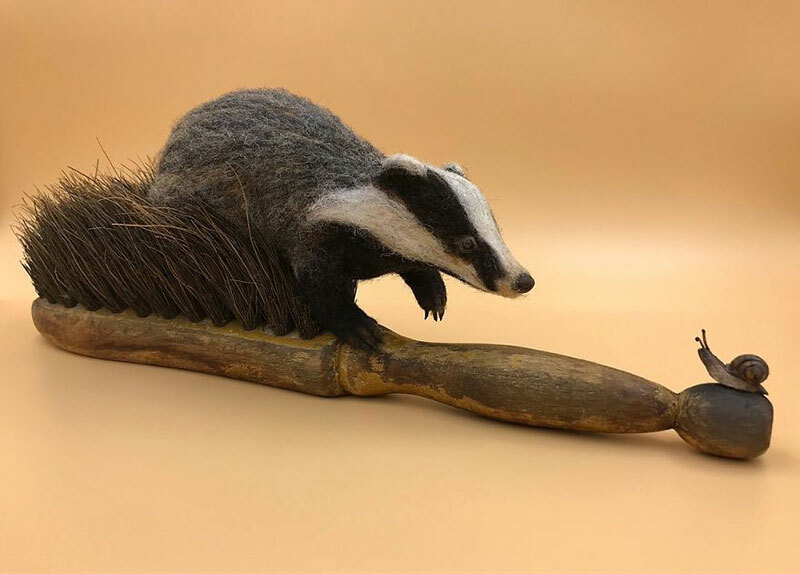 Simon loves the wildlife of Northumberland and is fascinated by British folklore—stories which he tries to inject into his work. 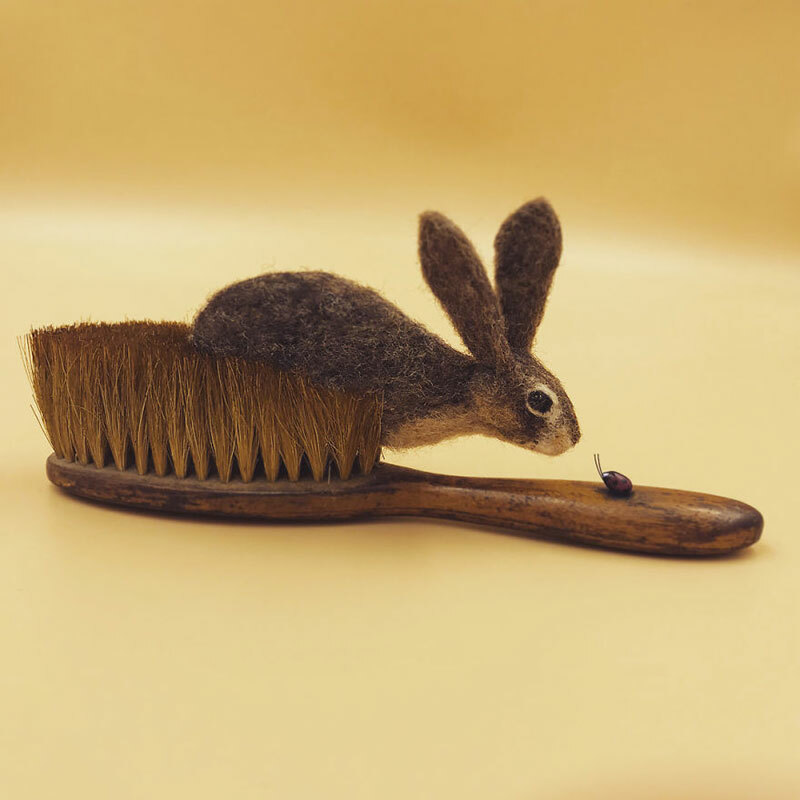 I am a needle felt artist from a small village on the Northumbrian coast in the UK surrounded by castles, cats and copious amounts of tea. 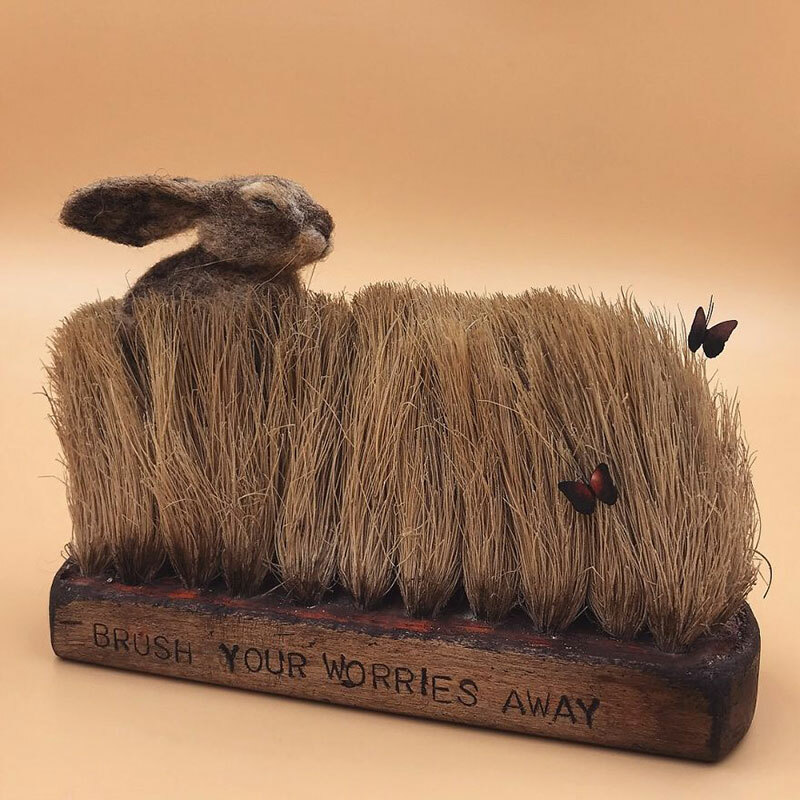 I find old, beaten up, heavily used brushes that nobody would look twice at and bring them back to life with tiny animals stabbed to life with wool, creating whimsical pieces filled with life, curiosity, and danger. 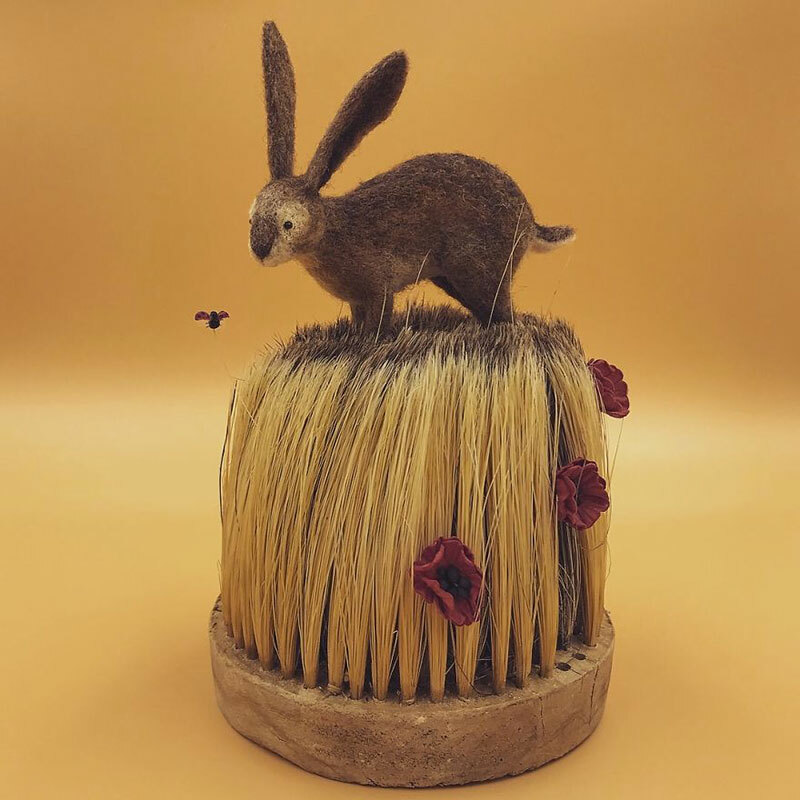 See more of Simon Brown's work on Instagram. 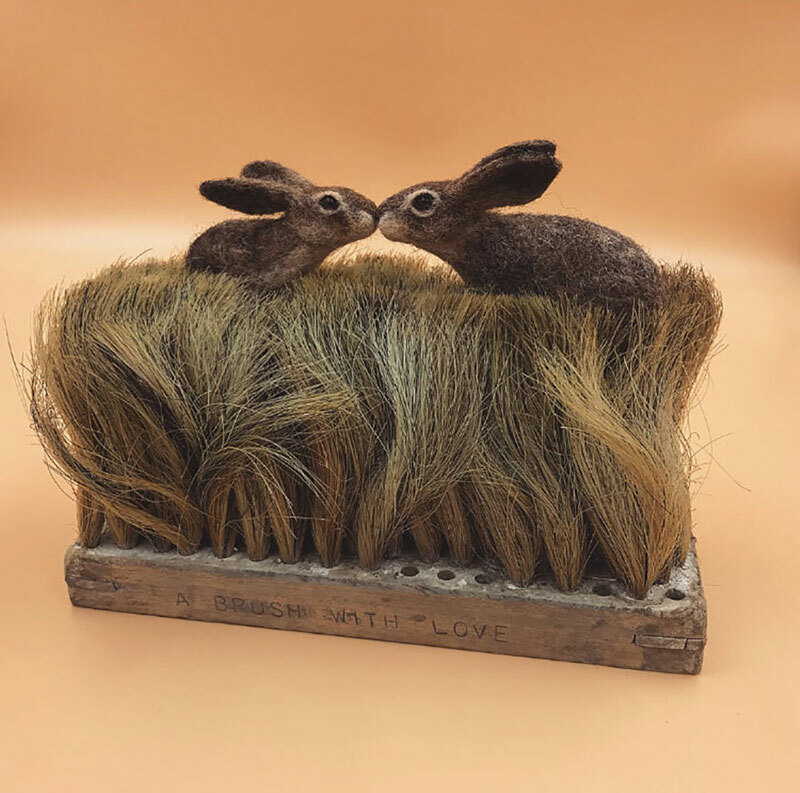 Felt artist Simon Brown based in Northumbria, United Kingdom turns old brushes into grass fields or meadows with realistic-looking animals such as foxes, rabbits, owls, and dogs crafted from materials such as Icelandic wool, textured herdwick, camel hair and soft cashmere.